One of my favorite things about Scottsdale is the incredible hiking trails. The city has done a fantastic job of acquiring land for preserves. 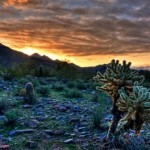 The McDowell Sonoran Preserve now has 30,000 acres with 195 miles of trails. It will take the rest of my lifetime to explore all of the trails in town, but so far three trails stand out as my favorites. 1. Pinnacle Peak – This trail is on the side of Pinnacle Peak Mountain. 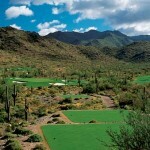 It is surrounded by Troon North, Troon Village, Estancia and Desert Highlands. 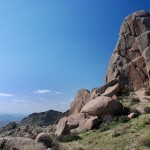 It has massive boulders, rocky outcroppings, saguaros and views. It is a very popular trail. It has some elevation, but you do not go up the entire mountain. The trail goes half way up the mountain and then circles around to the back side. You are directly above multiple golf courses and high-end homes. 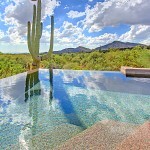 The mountain views include the Continental Mountains, Four Peaks and the McDowells. Pinnacle Peak can get very busy during high season.There are multiple view points along the trail. I took guests from out of state to Pinnacle Peak last week. Their reaction made me appreciate Pinnacle Peak from a fresh perspective. It is stunningly beautiful. I took this photo on my cell phone while we were there. 2. Levee Trail – This is the complete opposite of Pinnacle Peak in many ways. It is primarily flat along the base of the McDowell Mountains. However, once you get into the preserve, you feel like you are out in the wilderness. You don’t see any homes or golf courses. It is a beautiful Arizona landscape with mountains and cactus in every direction. There is no hint of civilization, which is just a few minutes away. This is a rarely used trail, although it is in the heart of North Scottsdale. The parking lot is between Silverleaf and McDowell Mountain Ranch, just East of Thompson Peak Parkway and Bell Road. 3. 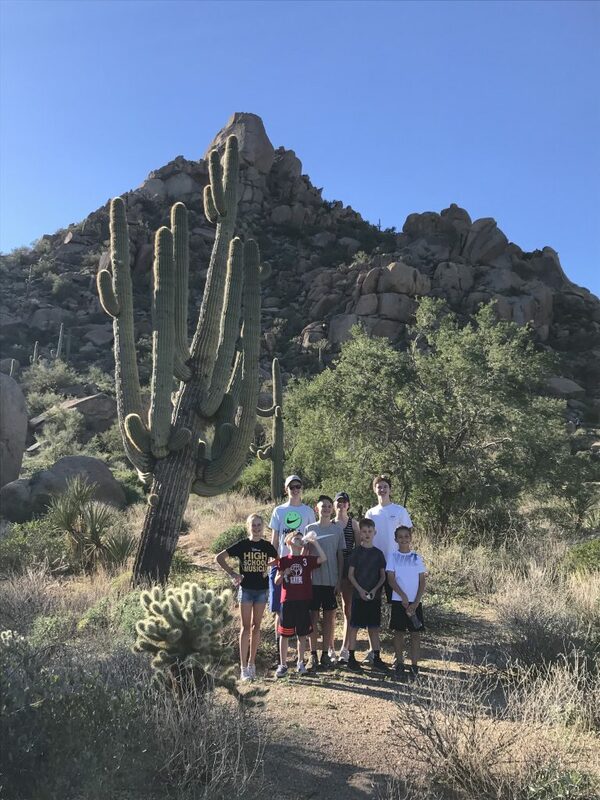 Tom’s Thumb – For those who are really ambitious, the iconic hike in Scottsdale is to Tom’s Thumb through the Sonoran Preserve Gateway Trail. This is just off Thompson Peak Parkway, across from Windgate Ranch. If you can say you’ve touch Tom’s Thumb people will be very impressed. You may not know what Tom’s Thumb is, but you have definitely seen it if you have spent time in North Scottsdale. It is the protrusion of rocks at the top of the McDowells that stands out like a thumb. It is a great goal to work towards. 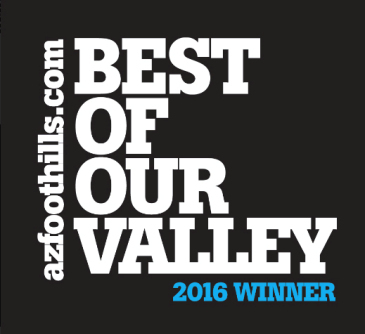 Want to learn more about the Scottsdale lifestyle? 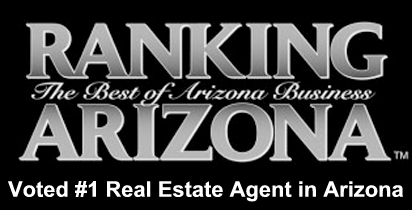 Feel free to contact me with any questions or to schedule a tour of Scottsdale homes for sale. 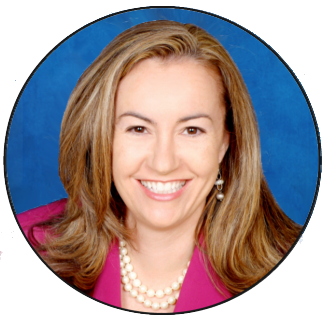 I specialize in representing buyers throughout Scottsdale.